You all know my love for pasta. I can pretty much eat it any time and anywhere. The only time I have trouble eating it is when it’s hot outside. I’m not talking like 80 degrees hot, I’m talking 95 degrees, really humid, with a heat index of 105 degrees. Then I can’t eat pasta and it makes me sad. 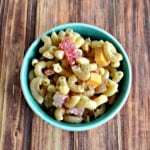 Oh sure, I still make pasta salad about once a week in the summer and while I love it, it’s not the same as having a good bowl of pasta for dinner. For starters it just doesn’t feel as filling. Then it has so many vegetables and an oil and vinegar dressing which just changes everything. I know I didn’t want to have a hot bowl of pasta and I couldn’t put marinara sauce on cold pasta so I did the only thing I could think of. I used a heartier pasta instead. In this case I used cheese tortellini. 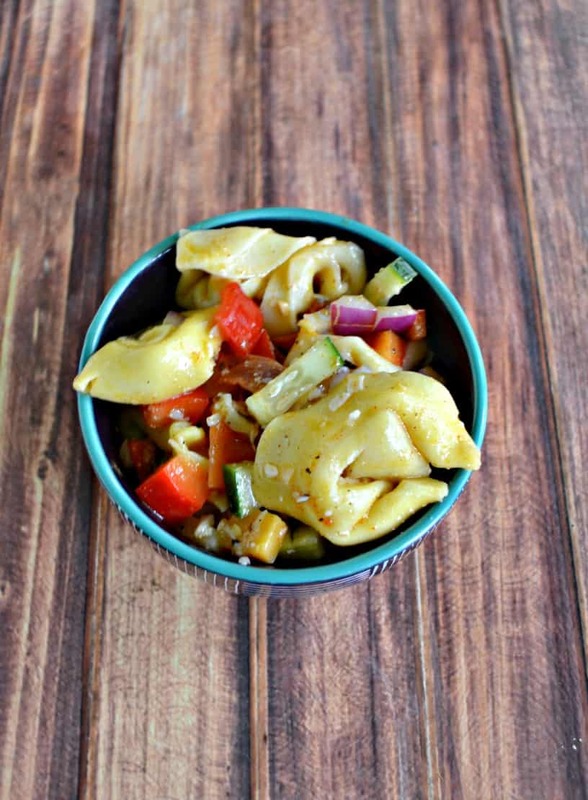 I absolutely love tortellini and because it’s stuffed with cheese it’s pretty filling. 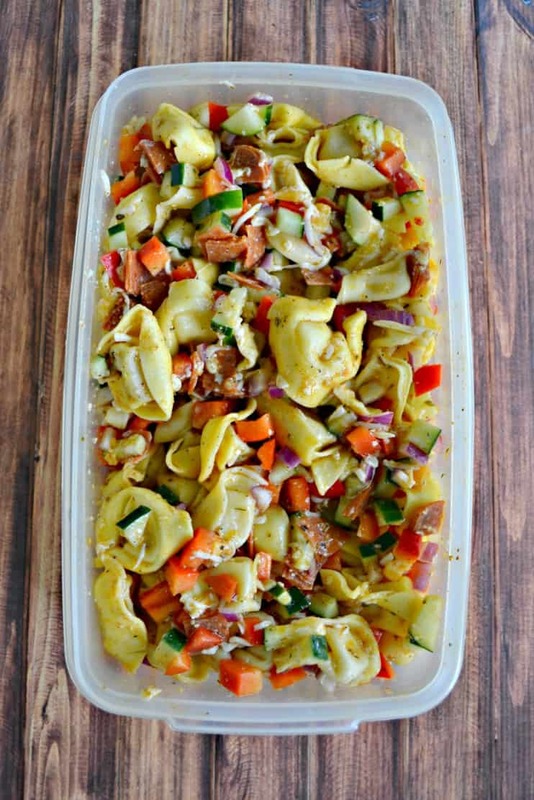 This Tortellini Pasta Salad is delicious and perfect for summer parties and gatherings. 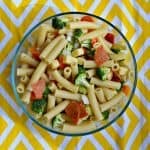 It’s also a tasty summer lunch or dinner because it has vegetables, cheese, and pasta all in one dish. The dressing is light but flavorful and it works as an entree or a side dish. 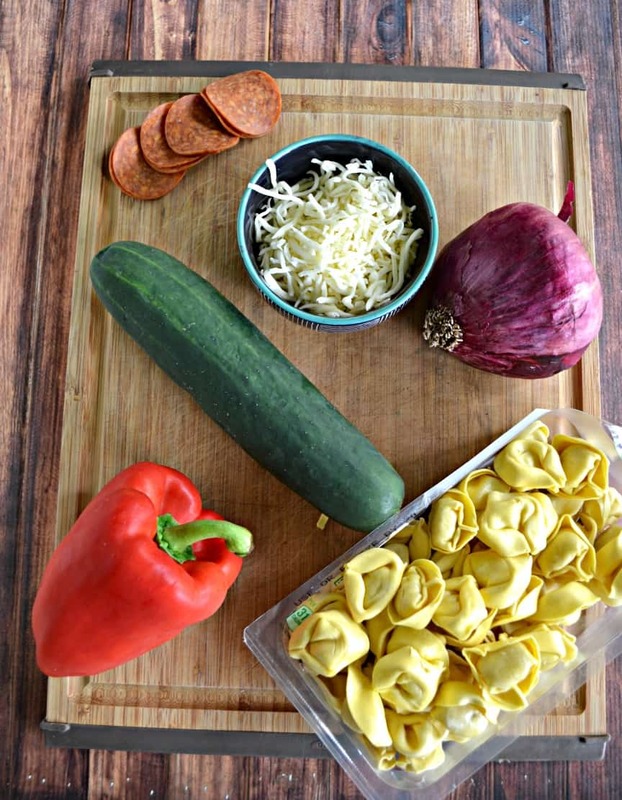 I added in cucumbers, red peppers, red onions, two types of cheese, and pepperoni but really you can add in all of your favorite vegetables and cheese to make a tortellini pasta salad that works for your family! 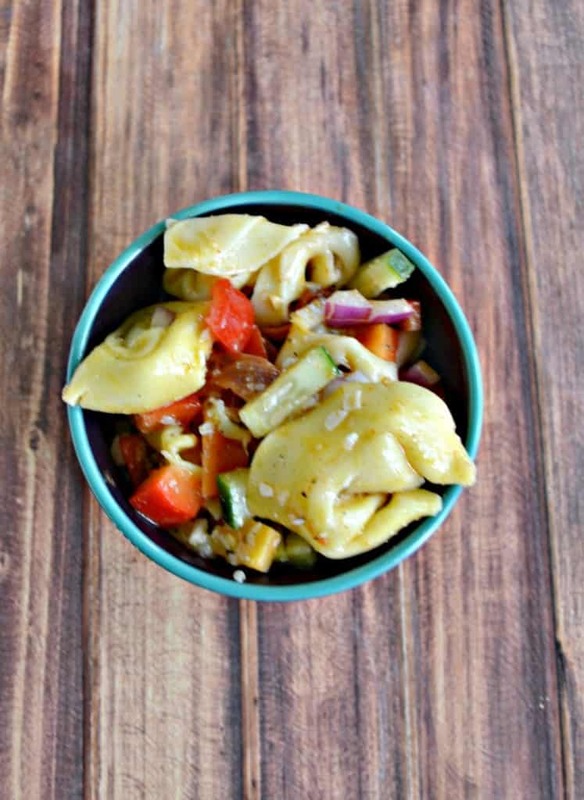 Tortellini combined with vegetables, cheese, and pepperoni for the ultimate summer salad. 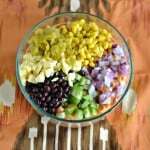 Place all the ingredients for the dressing in a bowl and whisk until combined. Set aside. Cook the tortellini according to the package directions and drain. Run under cool water until the tortellini is no longer hot. 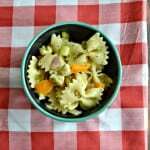 In a large bowl combine the cucumber, red onion, and red pepper. Add in the tortellini. Pour the dressing over top and toss to coat. Fold in the cheese and pepperoni. Refrigerate for at least 2 hours before serving.